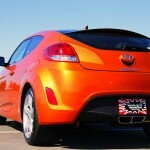 Review: 2012 Hyundai Veloster 1.6 GDi 140 hp. Orange or white? Difficult choice huh? 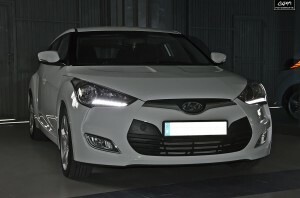 Well, in The Korean Car Blog has decided to test both Veloster’s (US and Spain versions) entry level versions and show our impressions to help the possible future buyers, also the colours. We hope you like. Pulse aquí para ver la versión en Español de esta Review. Debut on January 10, 2011, at the Detroit AutoShow, the Hyundai Veloster is a compact sports coupe car, with only one difference, he has one door on the driver side and two on the passenger side, making it the first car in such category.The Veloster was the first to use Hyundai’s new BlueLink system, which is similar to OnStar used in GM vehicles, to provide customers with automatic crash notification, vehicle diagnostics, etc… The Hyundai Veloster measures are: Wheelbase 104.3 in (2,649 mm), Length 166.1 in (4,219 mm), Width 70.5 in (1,791 mm), Height 55.1 in (1,400 mm). Aimed at the same group of young hipsters that would feel at home in the Honda Fit , Scion tC , MINI Cooper , Fiat 500 and even the Volkswagen Beetle , the Veloster is a four seater that has some quirky, if useful, features. Uncommon styling adds interest to the vehicle, while a handy third door adds utility. Combining that with the hatchback makes the Veloster a cargo star. 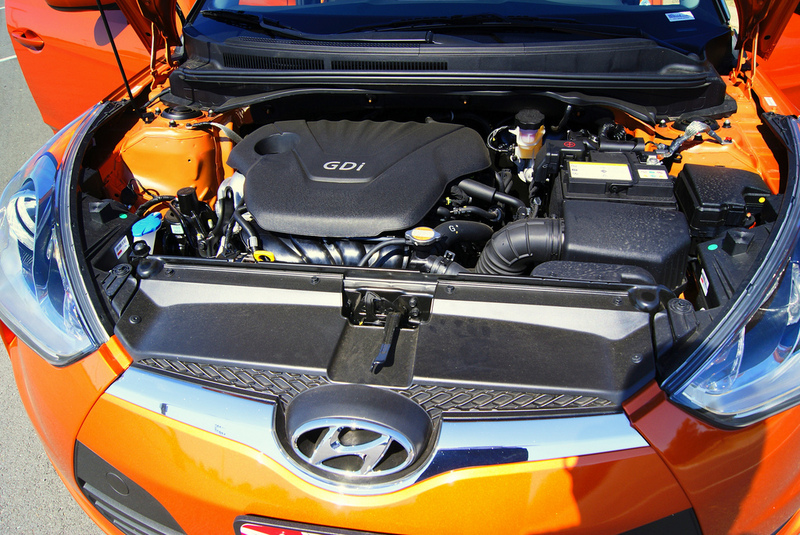 In Brazil the car has been the subject of controversy as Hyundai advertised the GDi injection but only brought the MPi DUAL injection to market. Consumers who pre-ordered the car were forced to accept the non-GDi vehicle without any compensation or cancel the transaction forfeiting the 10% reservation deposit. 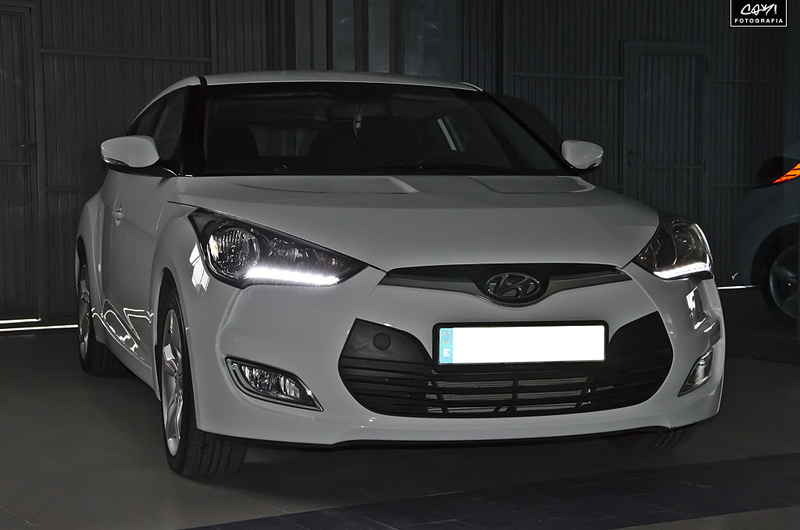 Despite the fact that the motor is the same 128hp of the Veloster commercialized in Chile, the vehicle’s license specifies the car as having 140hp. Other advertised options were also not included in the vehicles sold in Brazil. 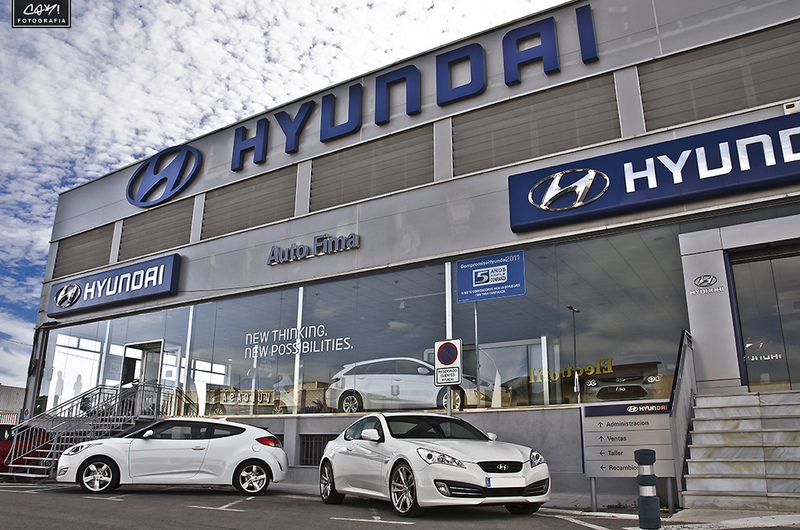 This has lead the Brazilian Public Ministry to start investigating Hyundai for fraudulent behavior. 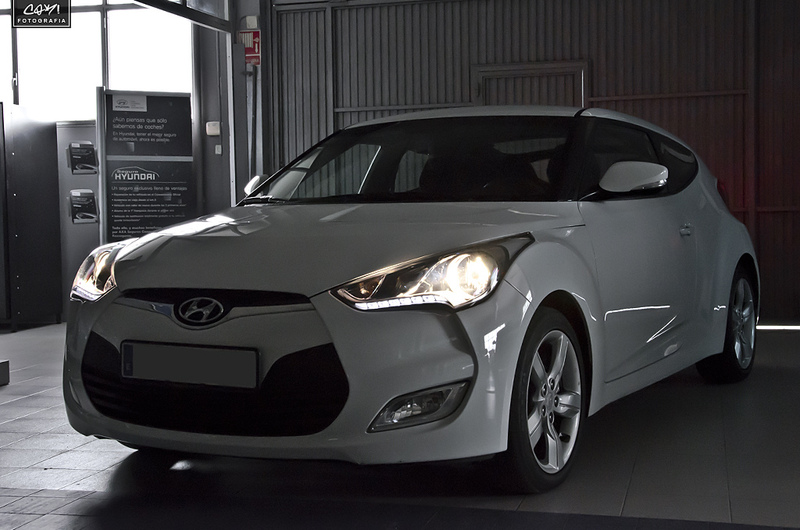 Designed to fill the gap left by the Hyundai Tiburon (also called Tuscani in South Korea or Coupe in some markets), the Hyundai Veloster is a global model and in most of the world the production model uses a direct-injected gasoline “GDi” 1.6 liter 138 hp engine. A 6-speed manual gearbox is standard while a 6-speed dual-clutch transmission (DCT) with paddle shifters is available as an option. 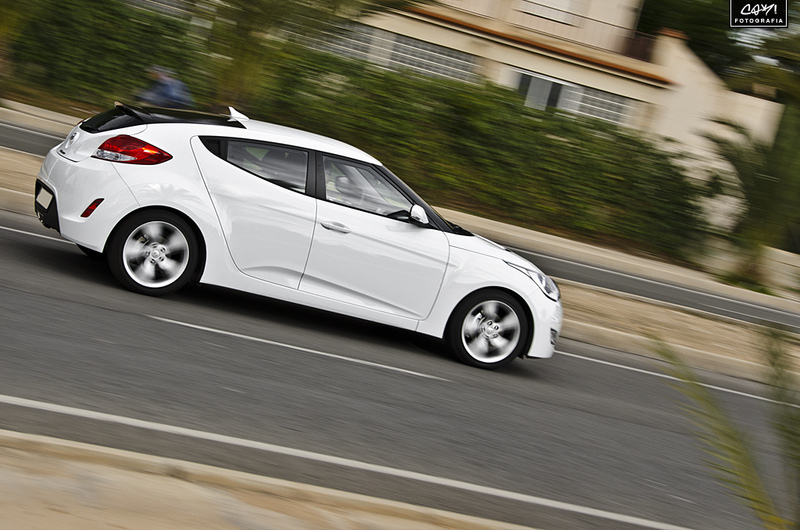 The Veloster will achieve an estimated 40 mpg (5.9 L/100 km) fuel economy. A turbocharged 1.6 Gamma T-GDi was introduced in the 2011 Seoul Motor Show. It generates 208 hp at 6,000 rpm with 195 ft-lbs of torque from 1,600-5,000 rpm. So far we have seen a lot of spy photos of the turbocharged version, but recently Hyundai announced the world debut at the 2012 Detroit AutoShow, held in a few weeks. Pricing starts at US$17,300. There is also a $760 destination fee. In the United States 2 option packages are available, a style package and a tech package. Each package is $2000. Purchase of the tech package requires purchase of the style package as well. Options are not available outside the package, thus resulting in 3 trim levels: “Base”, “Style”, and “Tech”. Each trim level is available with the DCT ($1250 option) or manual transmission. 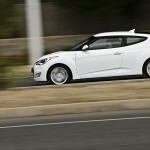 In Spain the pricing starts at 18,955€, also divided into three trim levels: “Veloster”, “Sport” and “Sport S”. The DCT automatic gearbox only available with the “Sport” and “Sport S” trims and costs 1650€. 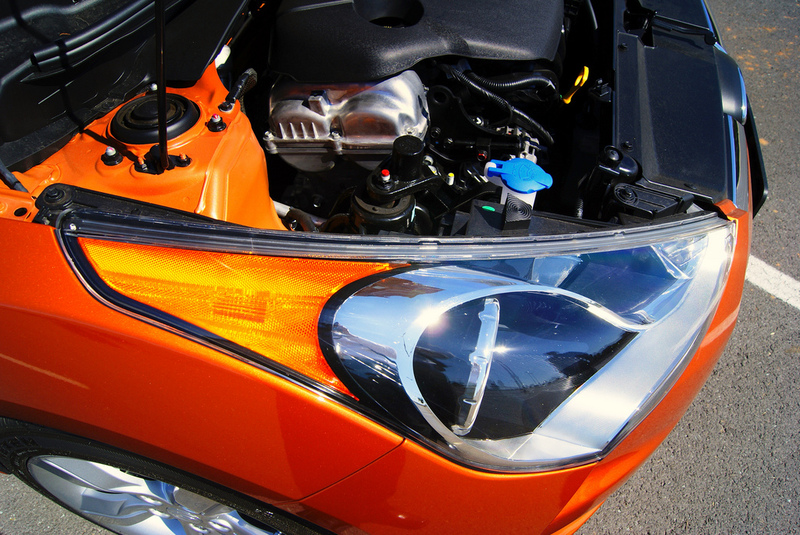 The engine offer much power at a very high revolution range. This means that for an acceleration Veloster relatively large lot must use the gearbox, this makes get off our fuel economy. If you drive carelessly change speeds with the engine at low or midrange engine response is too poor for overtaking or climbing a steep slope, this makes get off our fuel economy. Also standard is a 7-inch touchscreen, bluetooth hands free system, two fuel economy coaching games and photo/video playback capability. For the US-market includes Hyundai’s BlueLink telematics system (a subscription service that can do everything from dialling 911 if the airbags deploy to getting turn-by-turn directions to transmitting its location and shutting down the engine if the car is stolen) and Pandora (via your iPhone) connectivity. For the US-market options are split into two packages. The Style package adds 18-inch wheels, a chrome grille surround with black highlights, foglights, a panoramic sunroof, a premium eight-speaker sound system, leatherette upholstery and a leather-wrapped steering wheel and shift knob. The Tech package can be added to the Style package and gets you automatic headlights, rear parking sensors, a navigation system, a rearview camera, keyless ignition/entry and a 115-volt outlet in the center armrest bin. Hyundai also offers optional side graphic stickers. 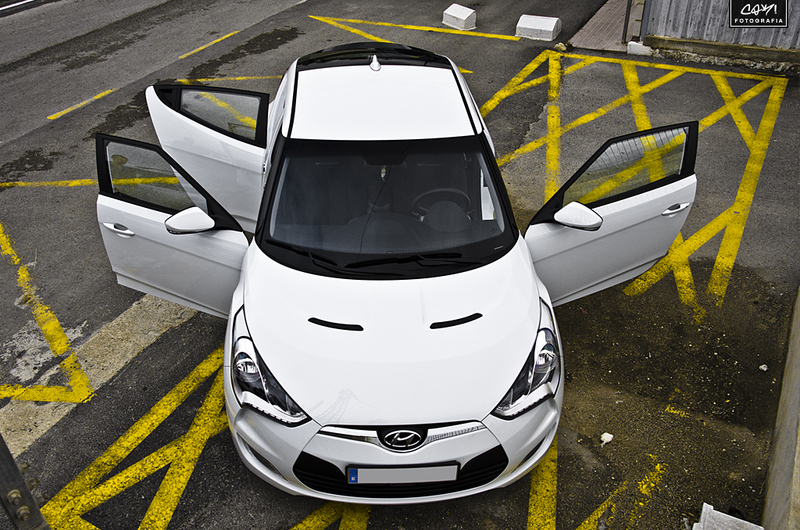 In the european version specifically the spanish version in three ranges, “Veloster” (as our white test car), “Sport” and “Sport S”. 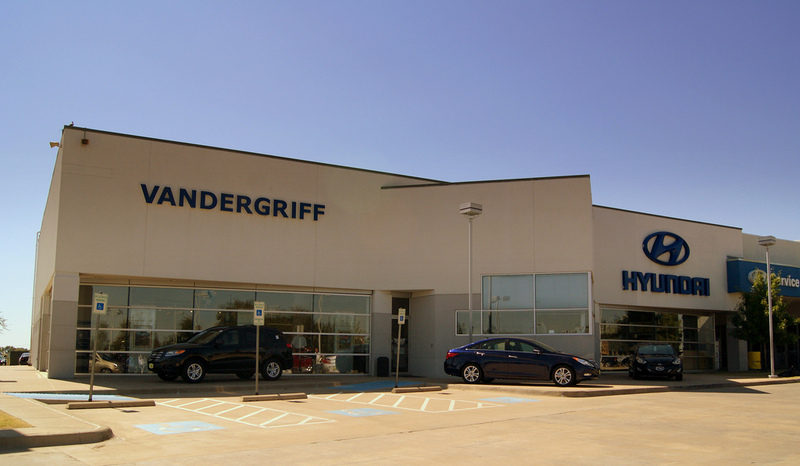 The only options available are metallic paint and 18-inch wheels with TMPS (Tire Pressure Monitoring Systems) system. 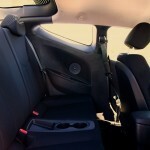 Clearly, the most prominent feature of the 2012 Hyundai Veloster is its three-door layout. 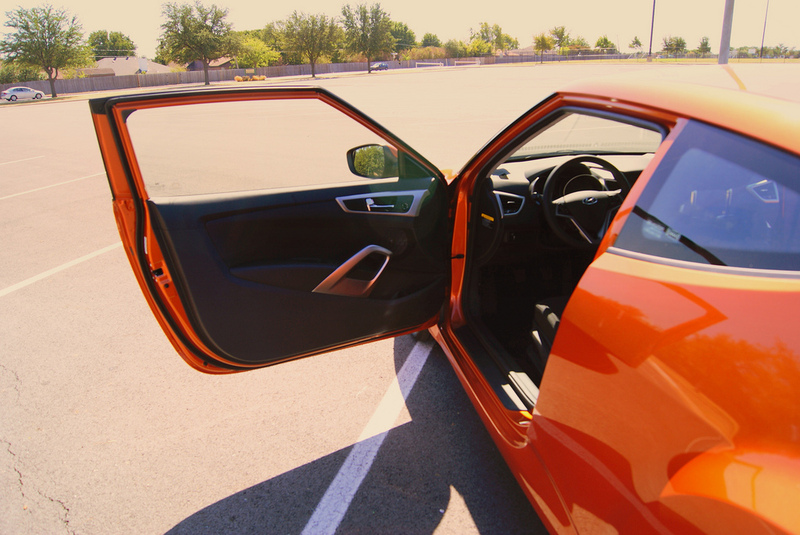 The larger, coupe-like driver door permits easy ingress and egress and the two smaller passenger-side doors provide added convenience for loading people or parcels. The front seats offer plenty of lateral support to hold you in while cornering, and ample cushioning for long-distance comfort. The overall interior design exudes a youthful and modern look without being kitschy or gimmicky. There is an abundance of hard plastic, but it’s well-textured for a more favorable appearance. 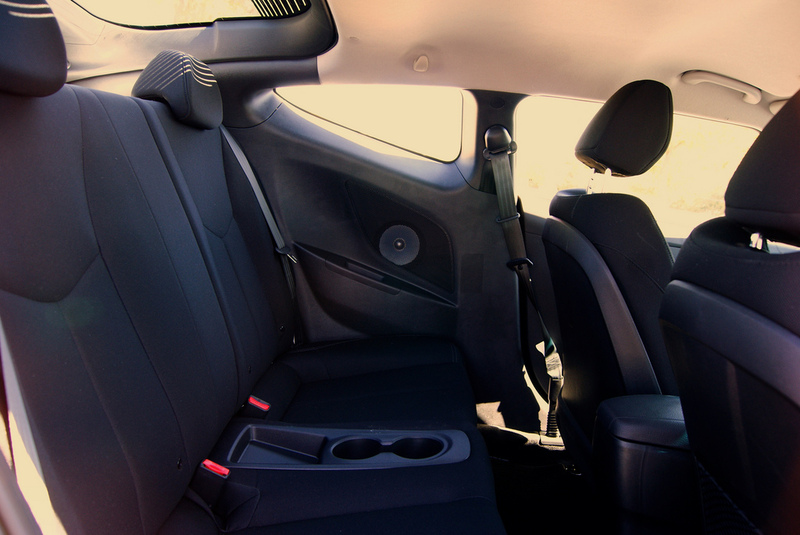 In back, the Veloster isn’t as roomy as other traditional hatchbacks, as the rear seat cushions are mounted quite low and headroom is limited by the sloping rear roof line. The glass hatch will also have those passengers’ heads exposed to the sun, but at least there is ample legroom. 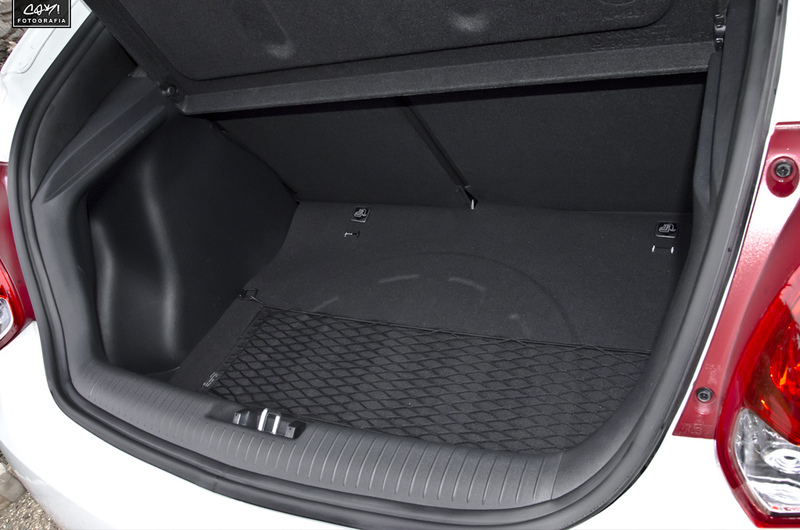 These seats fold down to provide greater cargo capacity, but it may not be all that necessary, as the deep 15.5-cubic-foot trunk should suffice for most hauls. 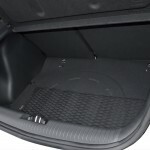 The rear hatch glass and roof edge, however, do obscure and distort the view rearward. 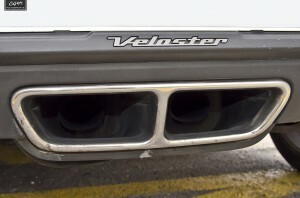 The Veloster is notable for its standard electronics and entertainment features. Hyundai’s new BlueLink telematics system comes with the typical safety features, plus outbound text messaging and turn-by-turn navigation. Other extras include location sharing (via Facebook), a geo-fence system that alerts you when the car travels outside of a defined area (for keeping tabs on younger drivers) and valet alert functions. 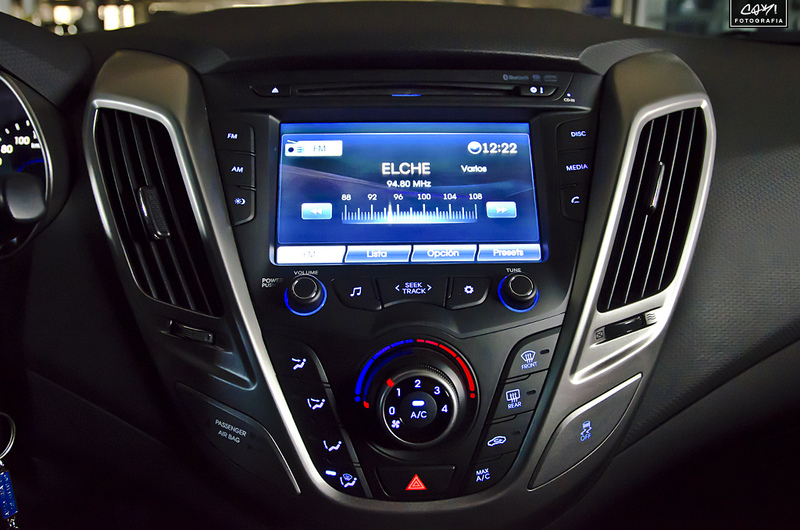 It’s an impressive collection of features, though, like OnStar, it’s fee-based. And in our initial tests, the voice recognition system had a difficult time interpreting many of our commands. 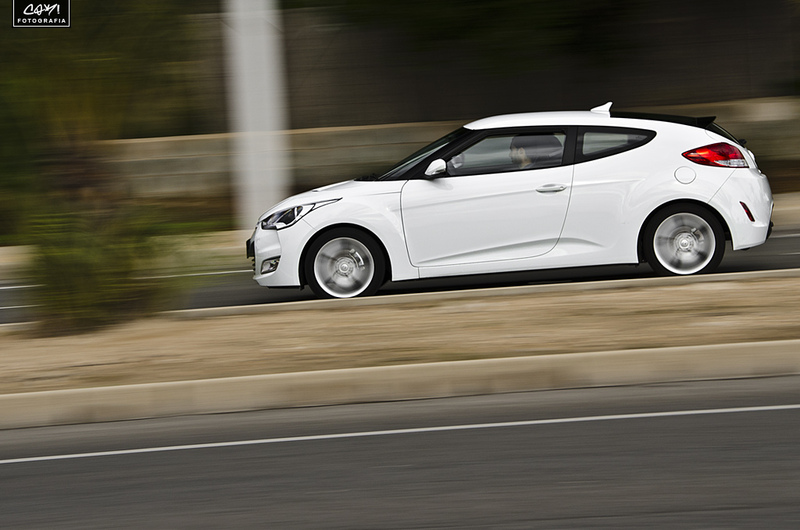 Built on a heavily revised Elantra platform, the 2012 Hyundai Veloster’s extroverted styling overstates things a little; this is still an economically minded hatchback. 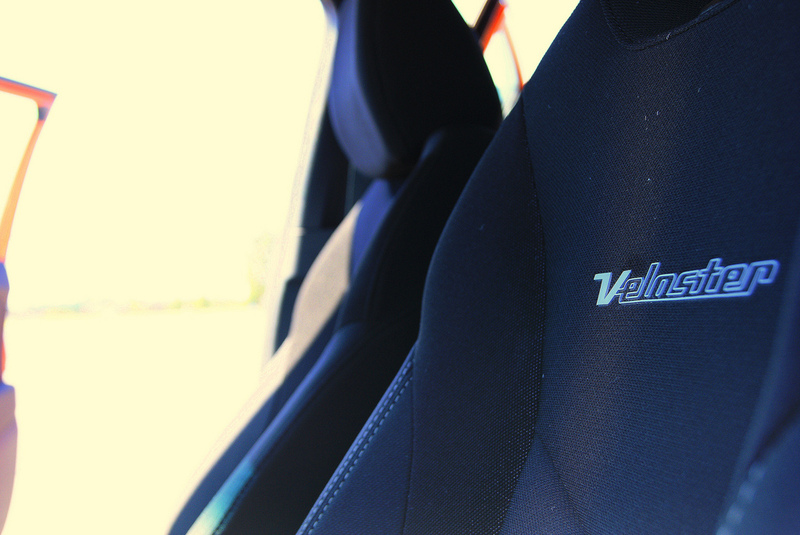 That said, the Veloster delivers a surprising amount of fun behind the wheel. The small four-cylinder engine won’t blow you away in terms of acceleration, but the handling is both balanced and predictable. Bumps and ruts in the road are shrugged off with ease despite the suspension’s sportier tuning. 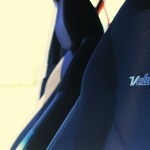 In everyday driving, the cabin is fairly quiet in terms of wind and engine noise, but road noise is noticeable. For the moment, we don’t had the opportunity to test the DCT (dual clutch automated transmission) version. Though the Veloster wasn’t designed for enthusiasts — that will be the job of the upcoming turbo version — it does drive pretty well. The ride is firm, but not overly so, and it grips well in the corners, with plenty of tire squeal to let you know when the front end is about to let go. I haven’t been crazy about Hyundai’s electric power steering, but the Veloster’s is the best so far; it tracks reasonably straight on the freeway and feels good in the curves. Horsepower: 140 hp to 6400 rpm. Top Speed: 201 km/h / 124 mp/h. 0-100km/h: 9.7 sec. 0-60mp/h: 8.8 sec. Fuel Economy: 5,9 L/100km – City 28 Highway 40 Combined 32 MPG. CO2: 148 g/km – 0.60 lb/mile. Weight: 1.260 kg / 2584 lb. Fuel tank capacity: 50 liters / 13,2 galons. Lenght: 4220 mm / 166.1 in. Width: 1790 mm. / 70.5 in. Height: 1399 mm. / 55.1 in. Wheelbase: 2650 mm. / 104.3 in. Tilt/telescopic steering wheel w/radio and bluetooth controls. 7″ inch LCD touch screen with AM/FM/CD/MP3 player Satellite radio, Digital-media player connection, Blue Link services and assistance (only in the US-version), USB port, Wireless cell-phone link and voice recognition. Mirrors turn signal (only in the EU-version). 215/45HR17 tires with Alloy wheels. 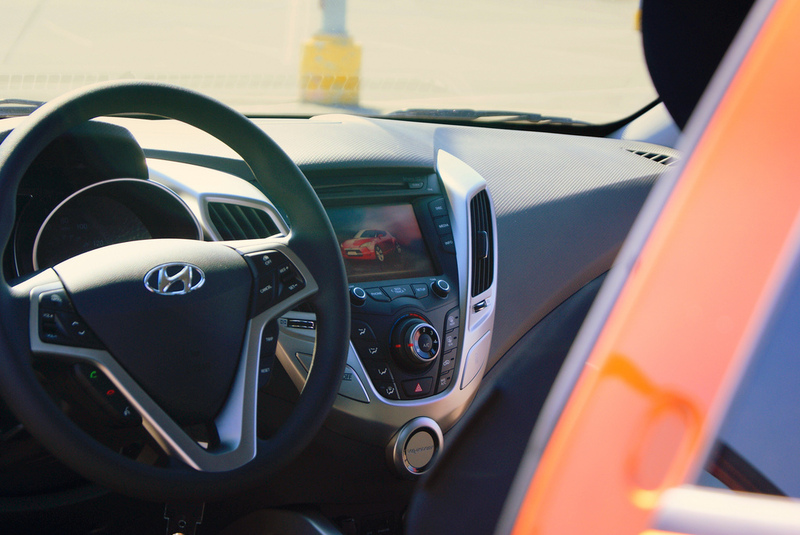 At first glance the Veloster its a very attractive car, not only from the outside but also in the inside, as well as parked or even on the road, for sure Hyundai had made a eye candy from every angle you see it. And that is not only the only thing draw my attention but also Hyundai has come up with some clever names for the colors, for example the car i tested was Vitamin C.
Another thing that had me wonder was how the Veloster worked on the 3 door, the way its design, it does indeed makes a good use of the 3 doors. While inside the Veloster the driver window comes really handy to watch outside, i always have this bad habit of watching outside the window for changing lanes but sometimes the B pillar its the way not letting you see whats there (sedan cars), so obviously you can see more outside with the Veloster. While driving the cluster is very well illuminated and actually really liked the white and blue, it adds that clean and crispy look such a car needs. The screen indeed adds a nice feature to the car, by watching movies (iphone cable included but can be used while parked), having a touchscreen gives that factor of future technology to the car which makes it even better since this comes as standard. The acceleration of the car its something that lacks, of course this particular car was not design for that, this is basically a nice car that can drive you to place you want still looking and also keeping those mpg high, the integration of the GDi engine on this vehicle for sure made the Veloster one step better than the competition. The steering wheels feels really comfortable and the handle its actually quite good, i was able to make a 360 and turn left to right fast w/o any problem. At the end this version of the Veloster is the right choice for anybody who wants a really nice car, being unique, keep high MPGs, right price and now have nice amount of aftermarket parts. The design is very good and unlike anything else i’ve seen so far, not only in the exterior, with the door system, his fluidic sculpture design (Hyundai called thus), the interior looks equally well with the prominent dashboard which includes 7 inch LCD touchscreen and the supervision cluster. 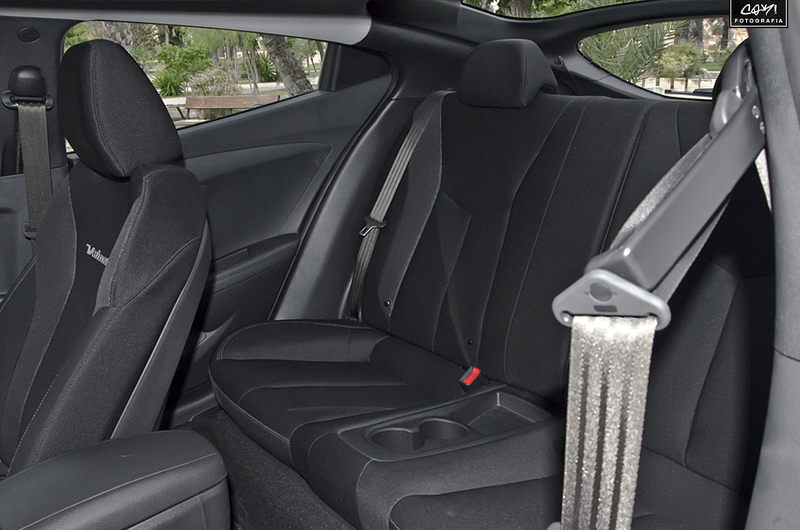 In contrast, the rear seats not recommended for people taller than 1,75, your head will touch the glass at all times, and well, the latest fashion to disable the rear center seat. For me the Veloster it’s a nice hatchback car, with the point of the 2+1 doors that makes you have a coupe and a 5 door version at the same time, with an excellent design (can’t like to all). I test drove the white version (EU-spec) and the color is not flashy, I prefer the other colors that are available, like the Vitamin C (same car Erick test drove), the Boston Red or the Marathon Blue. The suspension makes it very comfortable (because it filters very well the irregularities of the road and it blocks them so they are not feel inside the car) and it holds very well the chassis in a curve. 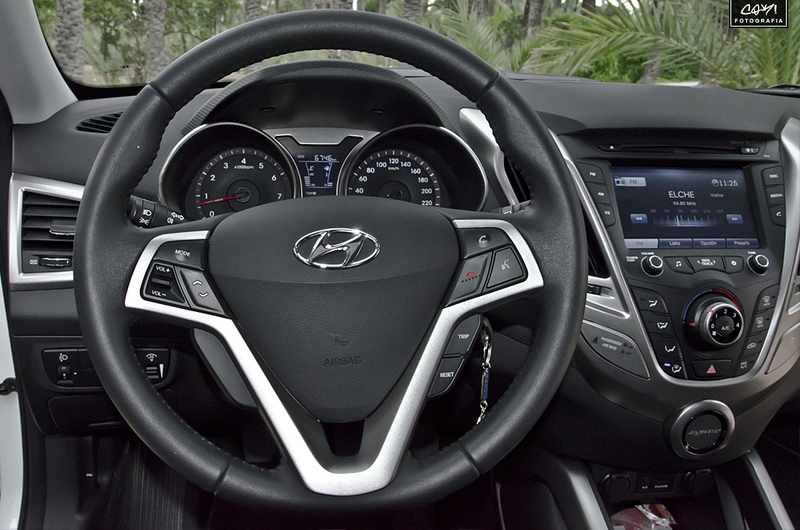 It’s very pleasant to drive the Veloster for this good relation between quickness and comfort. This provide a good stability while driving in highway with winding roads, where with continuos change of direction and hard supports it barely balance. About the engine, some people criticize his low response (full economy is very good), but for me I think this model isn’t a sports car (and this engine is enough for the 80% of the drivers), but when you step on the accelerator pedal thoroughly and use the gearbox he have a good acceleration and a racing sound (and losing your fuel economy). For everything else, the close Veloster Turbo. If I actually need to buy a hatchback, surely this would be my choice. 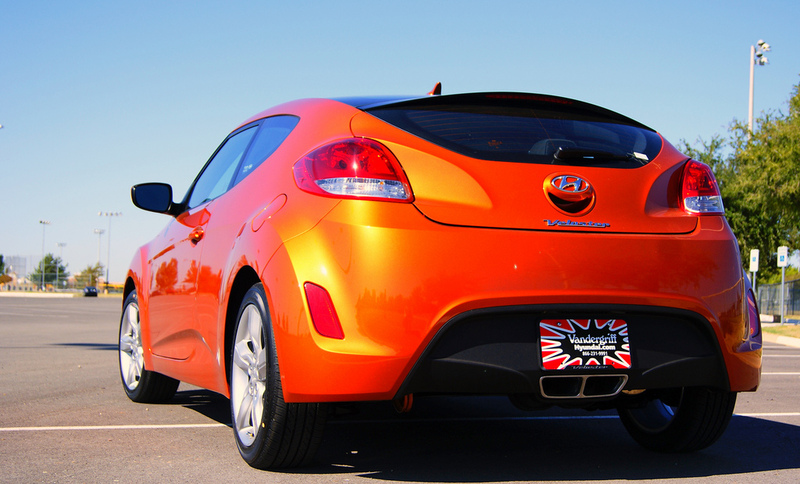 Photo gallery: Hyundai Veloster 1.6 GDi Base (US-market). 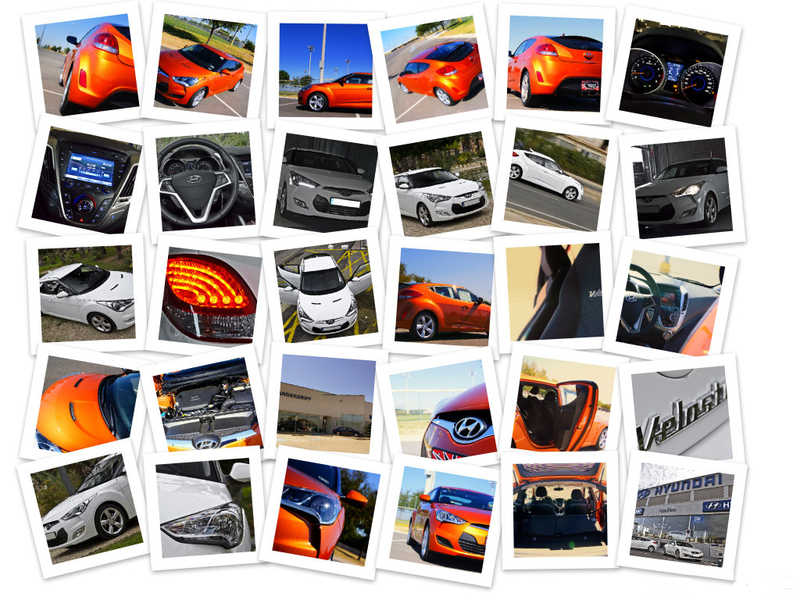 Photo gallery: Hyundai Veloster 1.6 GDi “Veloster” (EU-market). Scooped: Kia cee'd II caught in Europe. New Genesis Coupe pictures caught in the wild.